AdoptAClassroom.org keeps a close eye on K-12 education news so we can best understand and serve the needs of our principals, teachers, and students across the country. We want to keep you updated, too. That’s why we’re launching our new monthly News Bulletin Board series. Make sure to check us out monthly for bite-size updates on recent news and trends in education. Los Angeles teachers reached a historic settlement in January after going on strike for smaller class sizes, increased salaries, and the hiring of more support staff. As a result, teachers across the country took notice and are preparing to go on strike in 2019. AdoptAClassroom.org guest blogger and Los Angeles teacher Dr. Jakeisha Gibson detailed the feelings her and her students experienced leading up the the strike, and why she left the classroom to join her fellow teachers on the picket line. Read more about Jakeisha’s decision to strike to get more insight on why teachers all over the U.S. may do the same. In the wake of education strikes across the country, the Wall Street Journal recently reported teacher turnover rates reached record highs. Large class sizes, stagnant teacher salaries, and a lack of support staff are causing teachers to leave the classroom for other professions. Teachers are professionals who know best what their classroom and students need, but this isn’t always reflected by policy. Read more about the recent teacher turnover rates. AdoptAClassroom.org Board Member and St. Paul, MN Principal Ryan Vernosh made headlines recently after his frustrated tweet speaking out on student homelessness caught the attention of MPR News. Principals like him go above and beyond for their school’s students, regardless of their home environment. We’re proud of Principal Vernosh for the work he does to support his students and their families who are in desperate situations. Read or listen to Principal Vernosh’s interview. Support our Highest-Need Fund to fund teachers and principals who spend their own money to provide school materials for students who would otherwise go without. Early childhood literacy is important for a student’s success across all subjects, but millions of children can’t read at even a basic level. NPR broke down the science of reading, and how new teaching strategies are helping young learners succeed. Read more about how investing in literacy education can help millions of students learn to read. According to an Adverse Childhood Experiences study, half of all U.S. students have experienced trauma, violence, or chronic stress. As a result, the classroom can be a stressful environment, so it’s important for teachers to have resources to calmly assess difficult situations. We hear from teachers everyday, and many are looking for resources to help deal with student trauma in the classroom. Read about these calming strategies and professional development resources. Finally, the recent headlines in education have proved that classrooms need funding now more than ever. 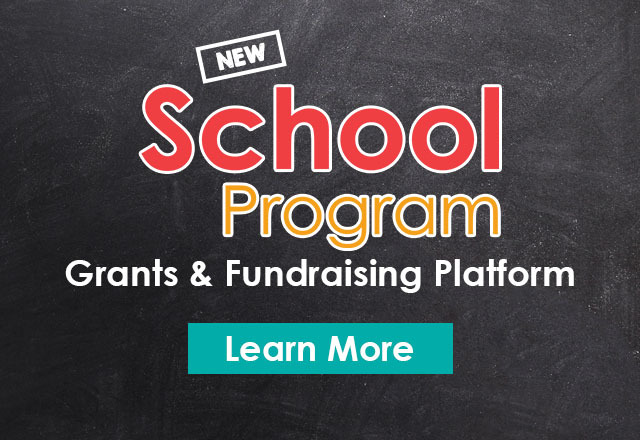 That is why we just launched our new School Program that gives K-12 principals and school administrators the opportunity to use our platform to raise funds for school-wide initiatives. Read more about our School Program. Thank you to all of our passionate, hardworking teachers and administrators who are on the front lines in education. Teaching is the most important job that exists, and we’re excited for another year of funding classrooms to give every child the tools they deserve to succeed in school.